A half-center neural oscillator was coupled to a simple mechanical system to study the closed-loop interactions between a central pattern generator and its effector muscles. After a review of the open-loop mechanisms that were previously introduced by Skinner et al. (1994), we extend their geometric approach and introduce four additional closed-loop mechanisms by the inclusion of an antagonistic muscle pair acting on a mass and connected to the half-center neural oscillator ipsilaterally. Two of the closed-loop mechanisms, mechanical release mechanisms, have close resemblance to open-loop release mechanisms whereas the latter two, afferent mechanisms, have a strong dependence on the mechanical properties of the system. 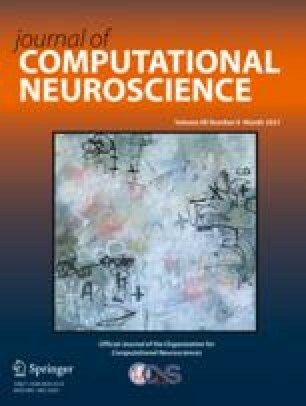 The results also show that stable oscillations can emerge in the presence of sensory feedback even if the neural system is not oscillatory. Finally, the feasibility of the closed-loop mechanisms was shown by weakening the idealized assumptions of the synaptic and the feedback connections as well as the rapidity of the oscillations.